Biochemical computation in single denditic spines by Ryohei Yasuda, Ph.D.
2018 Gill Symposium—Transformative Investigator Award Recipient, Ryohei Yasuda, Ph.D., from Max Planck Florida Institute for Neuroscience. 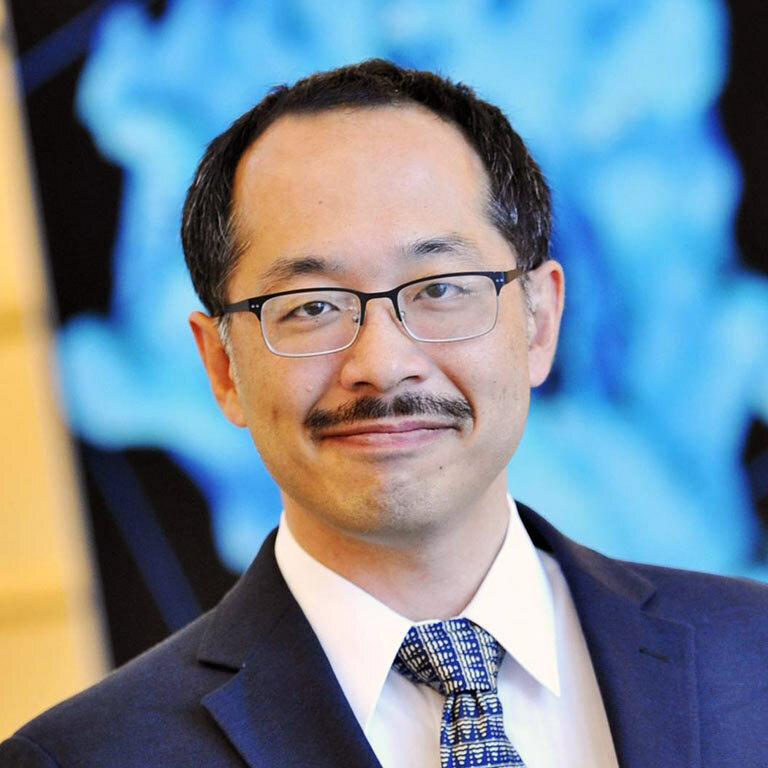 Ryohei Yasuda, Ph.D., from Max Planck Florida Institute for Neuroscience, will be receiving the 2018 Gill Transformative Investigator Award. He will be presenting a lecture at the Symposium entitled: Biochemical computation in single denditic spines. Abstract: Activity-dependent changes in synaptic strength and structure are believed to be cellular basis of learning and memory. A cascade of biochemical reaction in dendritic spines, tiny postsynaptic compartments emanating from dendritic surface, underlies diverse forms of synaptic plasticity. The reaction in dendritic spines is mediated via signaling networks consist of hundreds of species of proteins. Aiming to elucidate the operation principles of such signaling networks, we have developed several new techniques to measure the key properties of the signaling components. First, based on 2-photon fluorescence lifetime imaging and highly sensitive biosensors, we have developed techniques to image signaling activity in single dendritic spines. We have succeeded in monitoring activity of several key signaling proteins in single spines undergoing structural and functional plasticity. This provided new insights into how the spatiotemporal dynamics of signaling are organized during synaptic plasticity. We have developed sensitive and specific sensors for CaMKI, CaMKII, Rho GTPase proteins, Rab GTPase proteins, protein kinase C isozymes (α, β, γ etc) and the BDNF receptor TrkB. Second, based on CRISPR/Cas9-mediated gene-editing, we have developed a technique to fuse fluorescent tags to endogenous proteins in single cells in vivo. This technique, termed SLENDR, allows us to measure the precise localization and dynamics of any proteins. Third, we have established a molecular tool to manipulate protein activity with light. Using this technique, we measured the temporal window of CaMKII activity required for synaptic plasticity and animal’s learning by inhibiting the kinase at different timing. New results obtained by these techniques provided new insights into the mechanisms underlying the spatiotemporal regulation of signaling dynamics underlying synaptic plasticity and learning and memory.